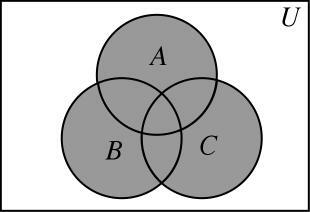 Suppose that on an exam you asked your class to shade the region corresponding to in the figure below. The problem is worth 5 points. When you received their solutions, some students had regions shaded that shouldn’t be shaded and left regions unshaded when they should be shaded. My question is: should you give partial credit, and if so, how should partial credit be determined? My first thought was to take off a point for each region they shaded (or didn’t shade) incorrectly. Unfortunately, after a little thought I realized this is not a good method. The idea behind “partial credit” is that if there is a problem that requires several steps to complete, and the student completes some of them correctly, then the student should receive some of the points, and the number of points should measure how close they were to a correct solution. 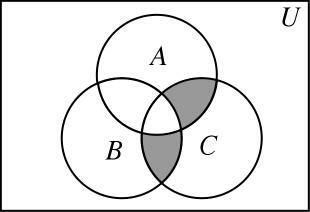 The problem is that it is often difficult or impossible to reverse-engineer a Venn diagram and figure out how the students arrived at their shading. For example, suppose you saw these answers on the students’ papers. Can you figure out what they were thinking? 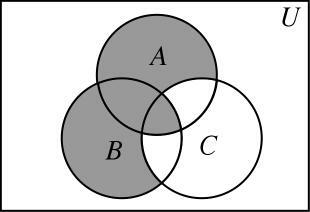 So, unfortunately, I think that Venn diagrams need to be graded all-or-nothing. I would be happy to hear others’ thoughts on this grading conundrum. I think that the answer is easy. You are trying to award partial credit when a student has not shown their work. 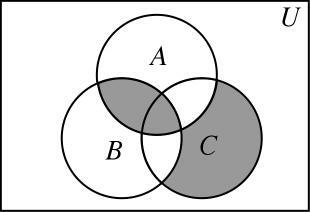 Your Venn diagram problem and answer is equivalent to an algebra problem where the student writes 11 as the answer. You wouldn’t begin to guess how the student got 11. 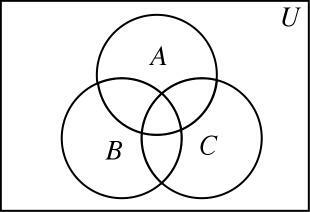 You probably would mark this wrong, take off full credit, and write “show work.” The same holds for Venn diagrams. 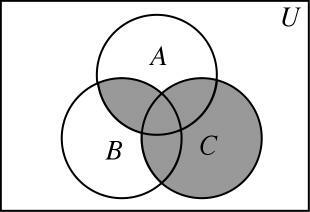 The answer to your Venn diagram question would be for the student to “show their work.” You would need to ask for and , then , and then the final answer— otherwise you are trying to guess what the student was thinking. I’m convinced that a acceptable system of partial credit can be developed for basically any correct math question (that we know the answer to). Problem is that creating of such system would probably be quiet time demanding and that it would get worse exponentially with complexity of the original question. Also even if such grading system could be developed it could easily become quite unexplainable to the students. So thought the question is very enjoyable I think that it is often wiser to not give a partial credit.